Oberammergau is quiet and quaint: a collection of traditional alpine houses, cheerfully painted, in a valley spreading out to the Bavarian Alps. This is a great place for walkers and lovers of an alpine spa break but it’s probably best known for its Passion Play, which happens once every ten years and has been happening since 1634. It's when the town’s inhabitants promised God that if they were spared from the plague they would produce a play thereafter - and for all time - about the life and death of Jesus. There are around two thousand people involved in the production. 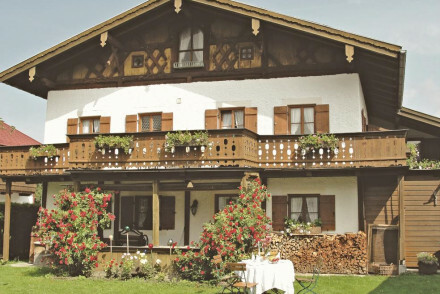 Our pick of the best places to stay in Oberammergau is a luxurious alpine style property right in the centre of town - perfect for a romantic escape in summer or winter. If you're lucky enough to be in Oberammergau for the Passion Play, it's hard not to get swept up in the magnificence of it. If you are heading to the town solely for that reason, get organised and book well ahead. The town is famous for its traditional artwork and features a great number of 'Lüftlmalerei' (frescoes) on buildings throughout the town. Surrounded by abundant natural landscape, it's a great place for a walking holiday in the Bavarian Alps. Enjoy a day trip to the Linderhof Palace and gardens (just 13km away and reachable by bus from the railway station). Take in its stuning over-the-top interiors and equally impressive formal gardens. Wintersports enthusiasts will enjoy both the cross country and downhill skiing opportunities. Don't forget that this region of Bavaria is very popular, so the best places to stay in Oberammergau tend to get booked up well in advance. So do your homework and plan well ahead. 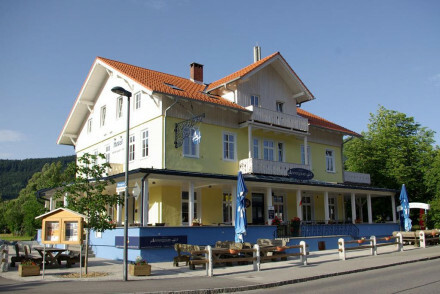 Hotel Maximilian is a five star option in the centre of the town. It's a pampering stay which ever season you choose to visit, with an onsite spa and gourmet restaurant specialising in Mediterranean cuisine. The nearest airport to Oberammergau is actually in Austria: Innsbruck (47 miles). The best time to visit Oberammergau is from May to September, when the temperature sits comfortably in the twenties. That's the best time for a walking holiday. But if you're here for the wintersports, then aim for January to the end of March. 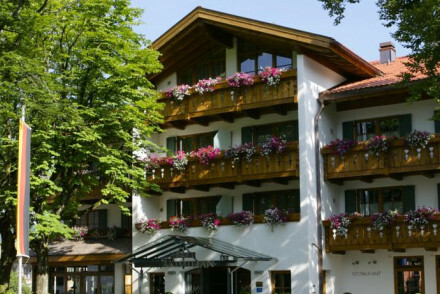 Browse through our list of all the best places to stay in Oberammergau. Expand your search to include all our recommendations in Bavaria. This homely guesthouse is well situated close to a range of natural attractions. The rooms are functional, with contemporary decor, parquet flooring and chalet-style balconies. Offering buffet breakfasts and ski storage for guests. An ideal spot from which to enjoy the region. Located in an idyllic Alpine town, this hotel is an ideal base to explore the surrounding mountains. The bright rooms are spacious and contemporary with large sash windows, parquet floors and crisp white linen. Hearty breakfasts are served and the beer garden makes for a welcome evening respite. Lying in the Alpine town of Oberammergau, a family-run hotel dedicated to providing an authentic Bavarian experience with modern comforts. 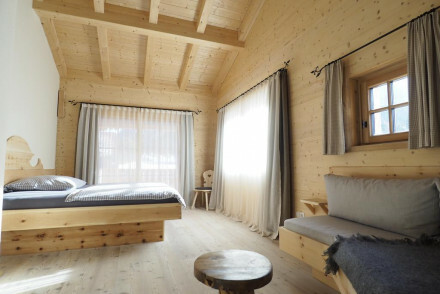 The rooms are spacious with characteristic chalet-style woodwork, exposed beams and balconies. A charming base for skiing and hiking holidays.